Switzerland, Peru and Morocco all head to Russia on unbeaten streaks – could any of these World Cup 2018 underdogs win the greatest prize in football for the first time? Switzerland are 100/1 outsiders to win the World Cup – here are a few reasons why they could provide an upset. They’re unbeaten in six games, including a 1-1 draw with 6/1 fourth favourites Spain this month. They won nine out of 10 games in their qualification group, losing away to Portugal in the final game. They progressed to the tournament after shutting out Northern Ireland in both legs of their play-off. In 2014, they lost 1-0 in extra time to eventual finalists Argentina – shutting out Lionel Messi and co until the 118th minute. Familiar faces include Arsenal’s new signing Stephan Lichtsteiner, a wily full-back formerly of Juventus, fellow Gunner Granit Xhaka and Xherdan Shaqiri, who scored a hat-trick in Brazil four years ago. All of this plus the threat of 21-year-old starlet Breel Embolo means Switzerland will be a tricky customer in the knockout rounds if they get past Serbia and Costa Rica in their group with Brazil. Peru reached the World Cup with a 2-0 aggregate play-off victory over New Zealand after missing out on automatic qualification by just one point. There was pandemonium on the streets when they secured a place for the first time since 1982. Despite qualification resembling a huge achievement for Los Incas, both the stats and the draw suggest that they won’t just make up the numbers. The 200/1 dark horses are on a roll. They’re unbeaten in 15 games – their last defeat coming against World Cup favourites Brazil in 2016. They’re heading to the World Cup with a boost as their captain and all-time top goalscorer Paolo Guerrero had a doping ban lifted four days before the deadline for managers to submit their 23-man squad. Yes, he made the cut. Guerrero is supported in the attacking positions by Jefferson Farfán, Christian Cueva and André Carrillo, who spent last season at Watford. The Peruvians play with panache and are efficient in possession. The World Cup 2018 underdogs will be on their way if they surpass Denmark and Australia in their group with France. The World Cup 2018 underdogs with the longest odds are Morocco. The 300/1 dark horses at first glance look toast in a group with Spain and Portugal. However, the latter may be suspect at the back. Morocco are currently unbeaten in nine games, including wins against World Cup opposition in South Korea and Serbia. In qualifying, they conceded once and scored 13 goals in eight games. 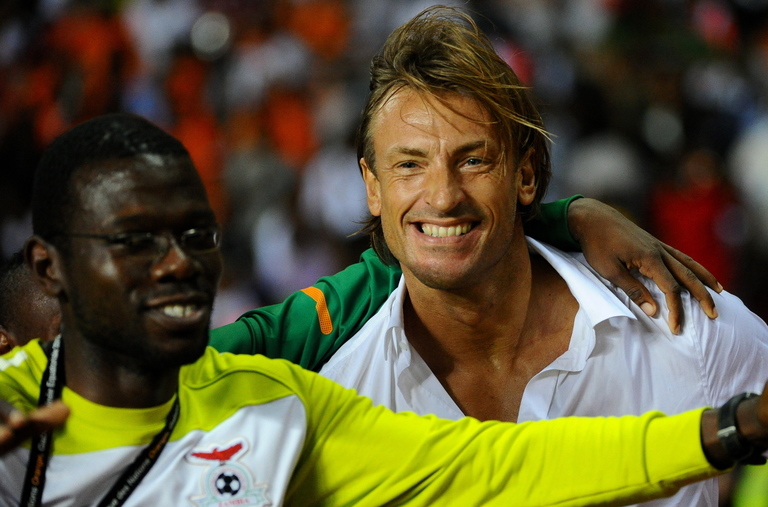 Their manager Hervé Renard has won silverware on the international stage – becoming the first coach to win the African Cup of Nations with two different countries (Zambia in 2012, Ivory Coast in 2015). In dissecting Portugal, it’s worth remembering, the only side they actually beat in 90 minutes at Euro 2016 was outsiders Wales at the semi-final stage. Their first-choice centre-back pairing are both old enough to play vets football. Morocco on the other hand have a solid foundation in Juventus’ Mehdi Benatia marshalling the defensive line. Should Portugal begin on the back foot by losing their Group B opener with Spain, Morocco can immediately put the pressure on by beating Iran. Another run to the round of 16 like 1986 is not out of the question for Morocco and they have far more appeal than the majority of other World Cup 2018 underdogs languishing in the nether regions of the outright betting.